Senior Ellynn Nickens-Hill (#12) goes in for a layup in a game against Battle HS Dec. 10. The JV Lady Bruins won 43-35, bringing home their second win of the season. 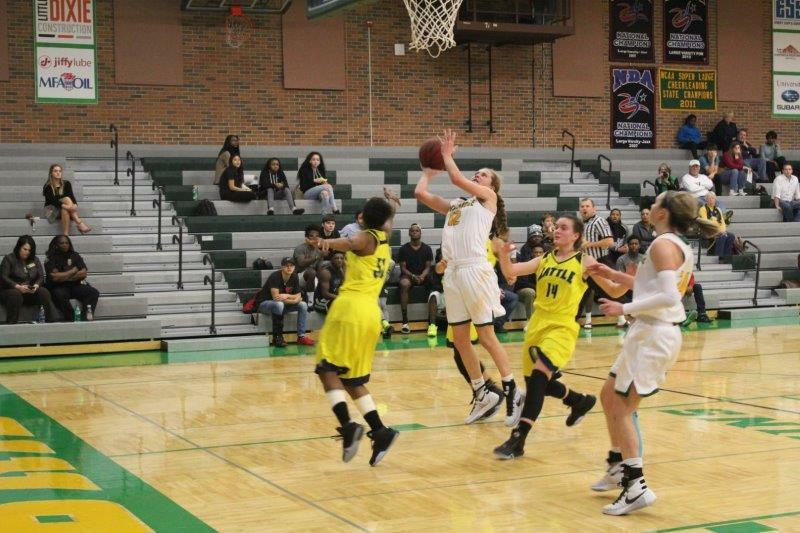 The Lady Bruins’ basketball team fell to the Bolivar Liberators in a nail biter, 54-51, in what was the first of a four-game tournament at Drury University in Springfield, Missouri. Despite the Bruins’ early efforts in the game, BHS quickly responded with a powerful 11-2 run in the first quarter, eventually granting the Liberators a lead they would possess for the entirety of the game. 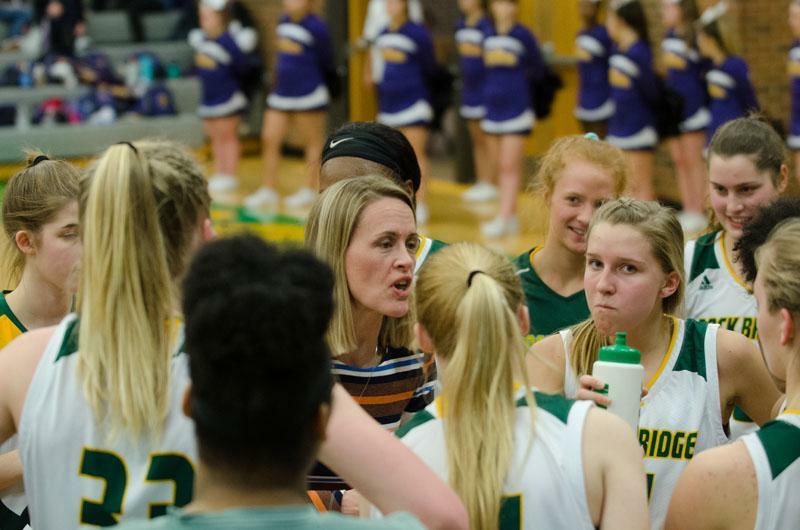 Although the Liberators maintained the lead for the rest of the game after the early run in the first quarter, RBHS continued to play with passion and determination. That determination eventually led RBHS to improve on what was already a minor deficit in the game. With 1:45 left in the fourth quarter, a 3 pointer by sophomore Payton McCallister cut the Liberator’s lead to 49-48, a great improvement from being eight points down at halftime. The late surge allowed for a shot at overtime for RBHS. 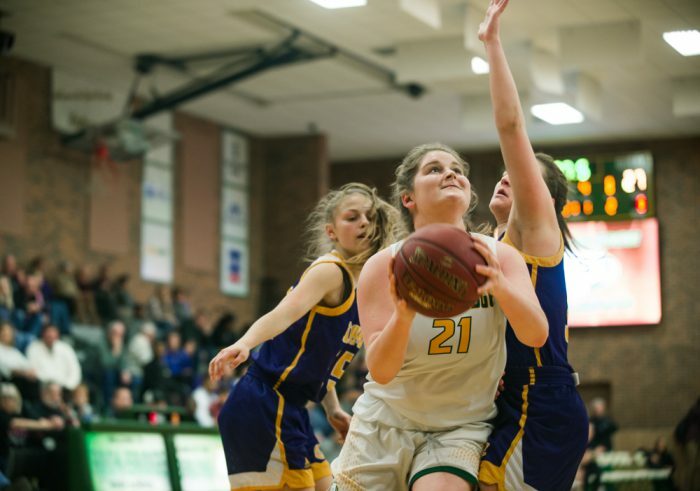 With 12.5 seconds left on the clock, the Lady Bruins had possession of the ball, but were unable to tie the game for a potential win in overtime. To the team, it was simply an unlucky loss, as focus has been turned toward winning the game today against the Stockton Tigers. 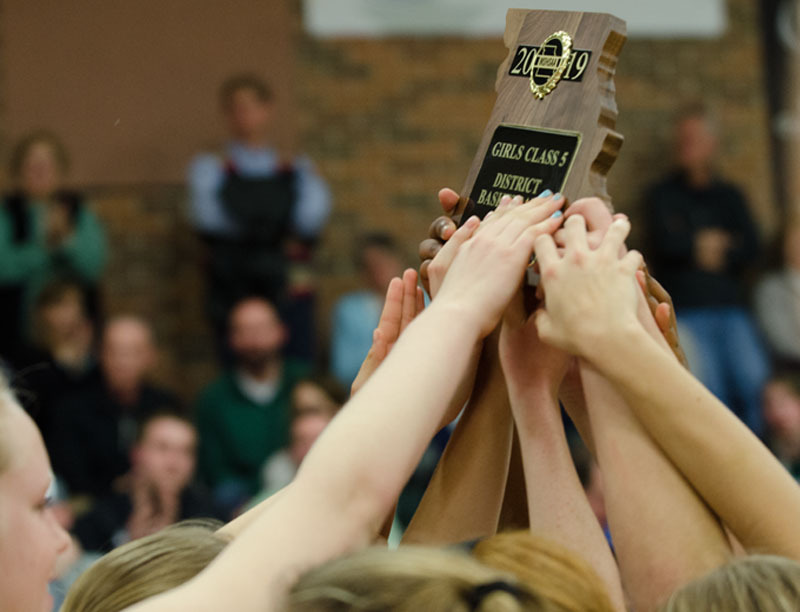 Do the Lady Bruins basketball team have a shot at a five-peat? Sedalia seems to be a good court for both the girls’ and boys’ basketball teams. The Lady Bruins defeated Lebanon High School (LHS) (54-46) Wednesday, March 6 in Sedalia, Mo. This win brings the Bruins to [18-9] on the year and allows the team to advance the state quarterfinals. The girls’ basketball team fundraiser is canceled due to inclement weather.